Guernsey boss Jordan Reynolds says his side were "brilliant" in their 16-11 win over Tonbridge Juddian in National Three London. The island side recorded back-to-back wins for the first time since November as they moved 18 points clear of the relegation zone. 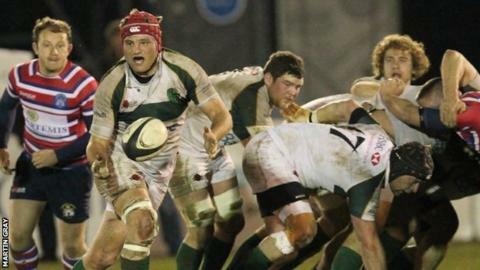 "We played absolutely brilliantly," Reynolds told BBC Guernsey. "Tonbridge are a very good side and we wanted to make a bit of a statement after last week." Reynolds was far from pleased at his side's last week. "To knock off one of the top five teams gives us a bit of encouragement for the games coming up and I'm proud of the guys. "We worked really hard during the week, we looked at the negatives and worked as hard as we could and we got a performance. "There was a great vibe after the game and during the game and we haven't had that for a long time. "If we can get our structure right we can do some real damage in the last six games that are coming up," he added.